Involving customers in product development is crucial to enhancing the customer experience and delivering an outstanding product. An internet search yields many great ideas, from collaboration and co-design to submission, but often product owners (PO) find it hard to turn suggestions into working solutions. Why? Because a good technique works only when you have an effective tool to implement it. 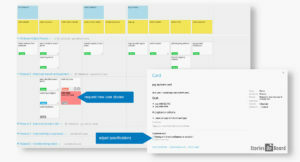 User story maps are designed to build shared understanding via visuality and simplicity. This shared understanding is not only for dev teams; invite your customers to the product’s story map! By introducing the anatomy of your story map, everyone involved gains a clear overview of the whole product. Once customers more easily understand the epics, goals, and features on a story map, they can track product development and discover missing or unnecessary features. Managing product design with a story mapping tool leads to more value to the customer, and since it is always available online, viewers can review progress and leave feedback. This is not just another annoying process to implement! A Story Map is significantly easier than a flat, old-fashioned backlog at involving customers. Read further and learn more! 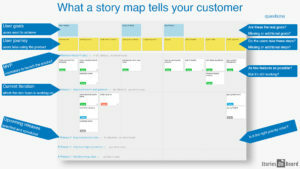 What does the Story Map tell your customer? At the top of the story map, customers see the epics, the user goals or main activities. For example, the user goals on the Story Map below are to find the product, select the product, and buy the product when visiting a webshop. 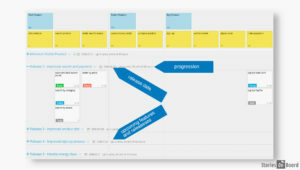 The next level, called the narrative flow, explains what steps the user takes to reach his goal. This helps viewers discover the missing steps of the user journey. User stories, features, and ideas are under the steps. The card’s vertical order express priority and the highest priority tasks are on top. The vertical orderThis facilitates discussion regarding task priority and allows customers to request reordering if necessary; the bottom of the list is the ideal place for adding unspecified ideas or thoughts. Partners are always curious about how the work is progressing during development. 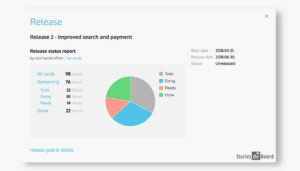 By highlighting task statuses on cards, they can track the project and product launch! By slicing the backlog’s body into releases, they can follow the related tasks, current iteration, and next month’s summary. When should I involve my customers? The short answer? As soon as possible. Filtering out misleading information is always a challenge for product development as the wrong information leads to unnecessary and inappropriate features. By building up the Story Map with your customer, you save time, dev capacity, and money. Remember, a shared understanding guarantees results. So invite teammates to brainstorming sessions to increase effectivity. Is your project already running? It’s never too late to rediscover the product! Just build up the Story Map’s backbone and organize tasks under the user steps. Now is a good time to rethink, re-prioritize or reschedule upcoming tasks. In addition, once customers see the project from this bird’s-eye view, they often ask to change the order of features or even whole releases. How often should I involve my customers? I recommend to regularly invite customers before starting a new release. However, one of the most important aspects of user Story Mapping is the elasticity of the backlog. The plans aren’t carved in stone! Although releases have been ranked and scheduled, new ideas and user feedback can shift priorities. 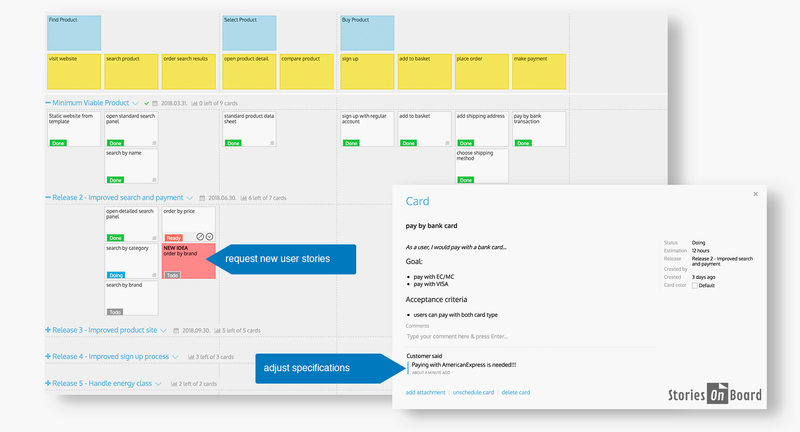 Managing a backlog in a story mapping tool allows the customer to track the current iteration through card statuses. Story Maps keep your customers up-to-date with the dev process, building trust and transparency. 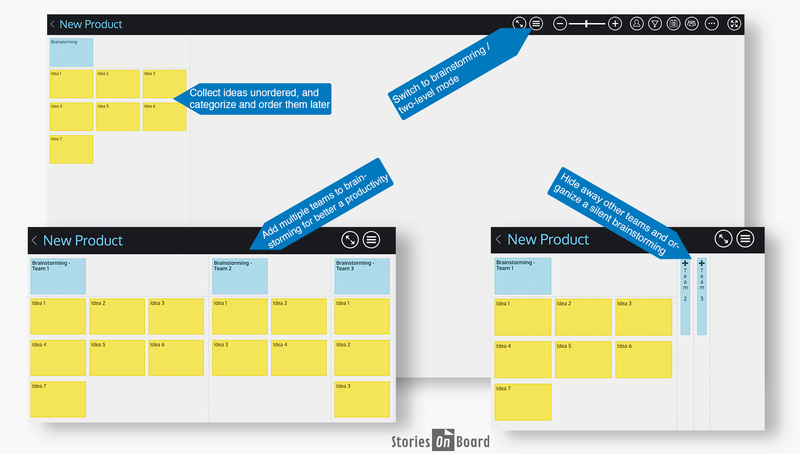 StoriesOnBoard, an online collaborative Story Mapping tool, allows product owners, business analysts, and customers to plan and track product development in real-time. Although the tool is well suited to the planning process, here we focus on collaborative and customer-related features. A huge advantage to the online Story Mapping tool is unlimited access. 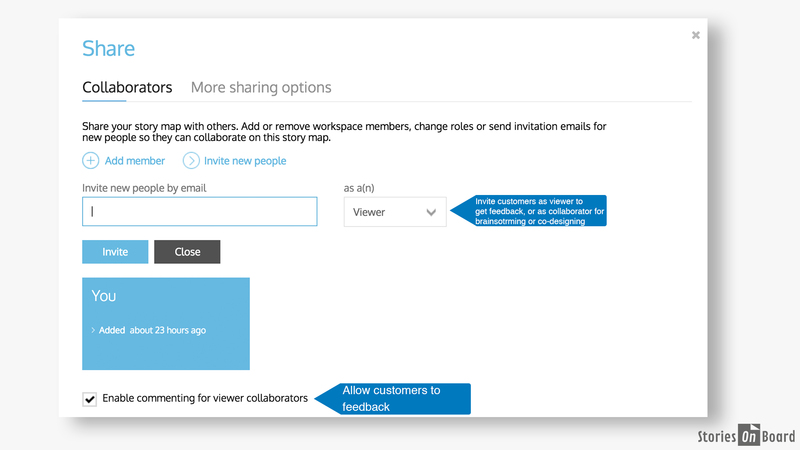 Share your Story Map and collaborate online to save time on traveling to the customer’s office. By leaving comments, adding ideas, and attaching docs, customers can leave feedback or ask questions so issues are solved efficiently and transparently. Some customers don’t want to take apart so deep in the day-to-day working. They would only get an always up to date overview and maybe comment. 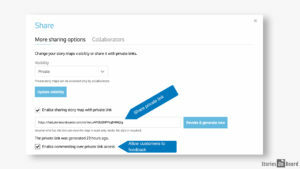 There is a simpler, but an easier way to invite these contributors by sharing the project’s private link. 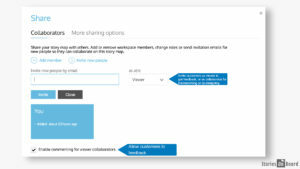 Just send the link to the customer, who can enter the board with one click without any invite or registration process. If she would leave a feedback then she can sign in individually. You can upgrade these viewers to editors later. In addition, brainstorming mode is a great tool for supporting collaborative or silent brainstorming sessions. Whether or not customers took part in the planning stages, walking them through an overview of the story map is essential. Customers will inevitably point out missing steps or new ideas, initiating revision of goals, features, and scheduling. Always be sure to present the Story Map to partners before pushing tasks to the dev team. Backlogs aren’t carved in stone and are not meant to strictly schedule the entire development project. story maps are alive and evolving! Once a product is launched, user feedback and requests must be assessed and new ideas must be implemented; otherwise, users slip away and the product usage levels remain low. To avoid this, make a habit of collaborating regularly with your partners to revise upcoming tasks. User feedback may prompt your customers to shift priorities or goals regarding the next releases, so don’t be afraid to rearrange your plan or insert new releases. Being agile and open to new requests builds long-term relationships with customers. Experienced story mappers insist on the importance of delivering “early and often,” but what exactly does this mean? Short iterations allow you to react to changes as soon as possible and present a dependable, stable product which is constantly improving, building trust in product users. 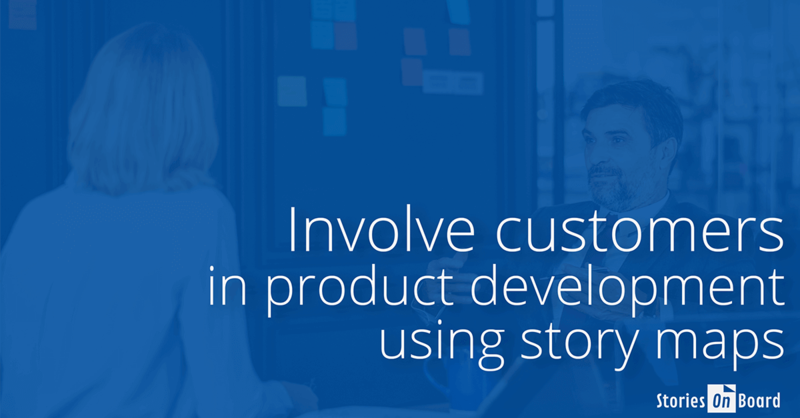 Promote customer loyalty by filling up the backlogs body with user stories and then slicing out the releases, grouping stories into small working features. As a result, the product is improved feature by feature, delivering extra value by reacting to user requests. Setting up estimations and release strategies on the Story Map forecast the upcoming features to customers. StoriesOnBoard has an impressive status report feature to track current iterations. After estimating user stories, your customer can follow the dev work. Status reports are updated in real-time and available for all Story Map collaborators. Try it on your own project! 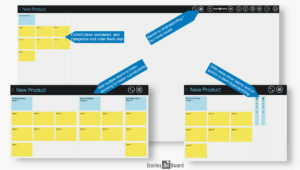 Build up your product’s Story Map and share with your customers for FREE!